I am lucky enough to live in a neighborhood in Brooklyn called Prospect Heights. Heights is in the name for a reason- we’re on relatively high ground and far outside the evacuations zones. 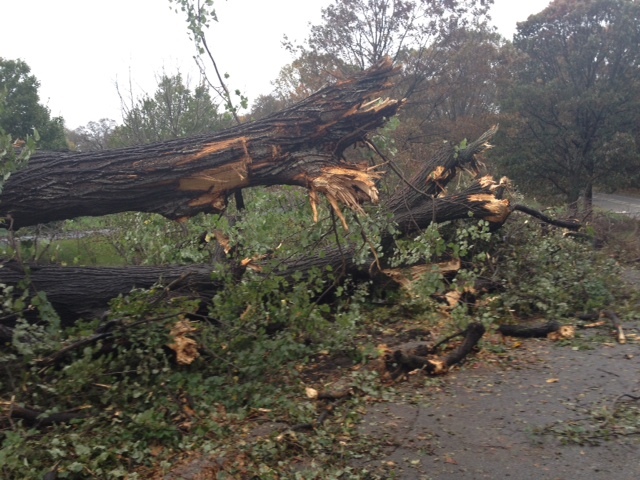 All we saw from Hurricane Sandy were a couple of downed trees and some blown over signs. We were very, very lucky. Many of my fellow New Yorkers and people up and down the east coast weren’t so fortunate. My sister in Connecticut my in-laws in the West Village, and many, many others are without power. Whole neighborhoods will need to be rebuilt and billions of dollars will have to be spent. Its going to take awhile, but we’ll get it done. My office is without power, and our remote server were down so there was no work for me today. Instead, I did a six miler around the neighborhood to see what I could see. 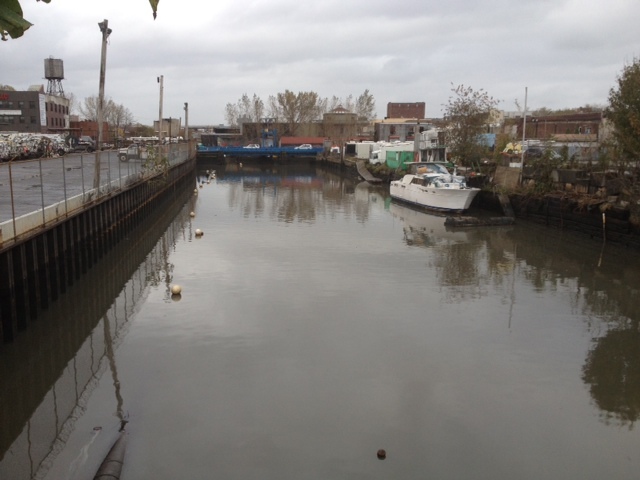 The Gowanus Canal is a superfund sight and one of the most polluted water ways in the New York area. There were worries that it would overflow its bank sending god knows what into the streets of the neighborhoods near by. Thankfully, this does not appear to have happened to any large degree. Any overflow was long gone when I ran by there this afternoon. It looked like the same old canal, though the smell was even worse than normal. 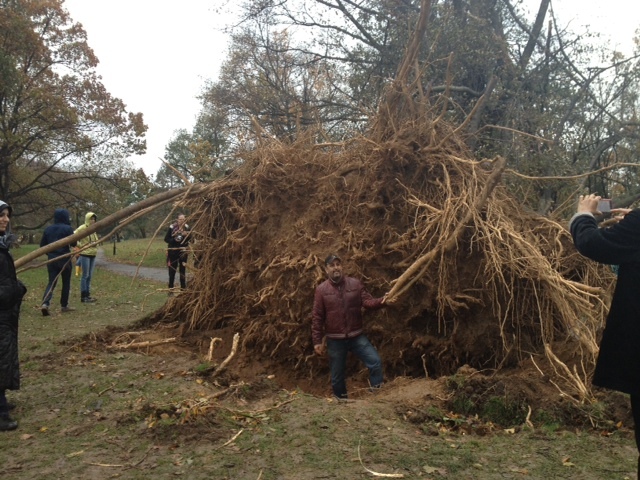 After the check in at the canal, I ran up to Prospect Park to check out the damage in around my favorite loop. The City had already cleared the debris from the roadway which circles the park, but dozen of trees were down around the perimeter including many which had been pulled from the ground. Hundred of people were out survey the scene, taking pictures of themselves in front of downed trees. I was out there two, taking photos, and thinking about how lucky I am that I get to go home, shower, turn on my computer and post this little piece to my stupid blog. New York and the whole east coast are going to need a lot of help in the coming months. I know that New York Cares is already out in many parts of Brooklyn giving a hand, you can donate to them here. I haven’t run more than ten miles in over six months, so I knew today’s twelve miler was going to be a bit of a suffer fest. It was – twelve miles in 2:15:40 is pathetic, but it’s a start. 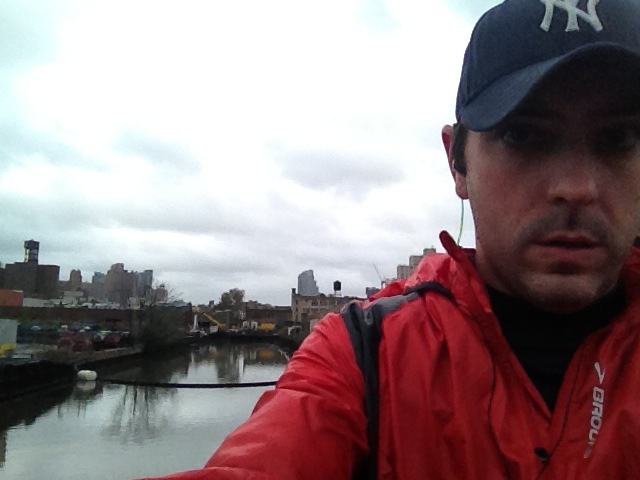 My goal was pretty simple – run twelve easy miles and find the highest point in Brooklyn. Done and done. 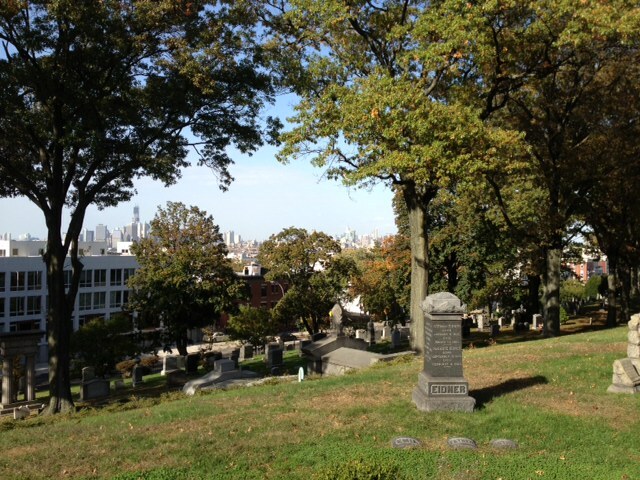 Starting from home I ran through Prospect Park up Fort Hamilton Parkway to Greenwood cemetery then along the edge of the cemetery to 25th street, I entered the park to climb the highest point in Brooklyn – Battle Hill. The 25th street entrance to the cemetery. 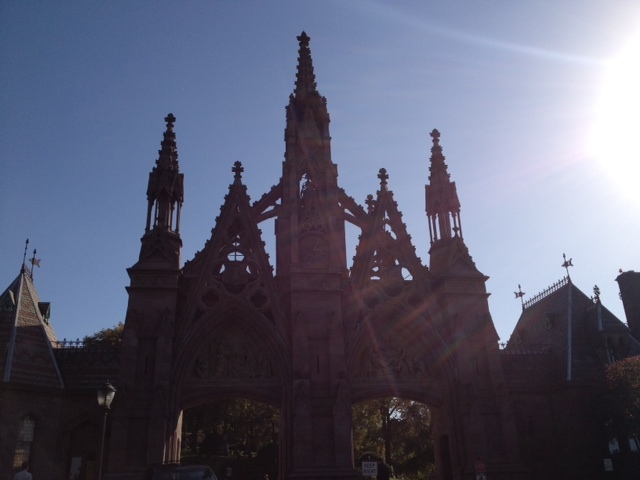 Greenwood is the massive cemetery in the center of Brooklyn seen by everyone who has ever driven down the Brooklyn Queens Expressway. It covers 478 acres and is the final resting place of hundred of famous New Yorkers, including the founder of the New York Times, the inventor of Morse Code, and Leonard Bernstein. Within it is Battle Hill. It is a gorgeous place, recalling the gilded age past of the City. Ornate memorials, and beautifully tended gardens – for a cemetery, it’s a very nice place to spend part of gorgeous fall day. Being a cemetery, running is not allowed, so I had to walk to the top of Battle Hill, (this partially excuses my pathetic time). It is quite the view from up there – you can see the city, the Statue of Liberty and a whole lot of New Jersey. There’s also a well-done memorial to the battle of Brooklyn, the largest battle of the Revolutionary War, which was fought on the slopes of this hill long before it became a cemetery. Ok, maybe it isn’t the view from the top of Mont Blanc, but still! I took some photos, and retraced my route back to the park and grinded out the final five miles at a snails pace. I wish I had been faster today, but you cannot have it all. 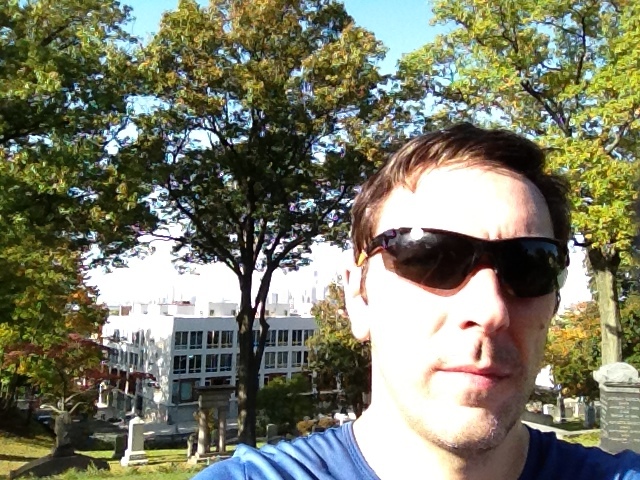 It was a gorgeous day, I climbed the highest the point in Brooklyn, and I got in the miles. I’m happy with that, the speed will come back with time.